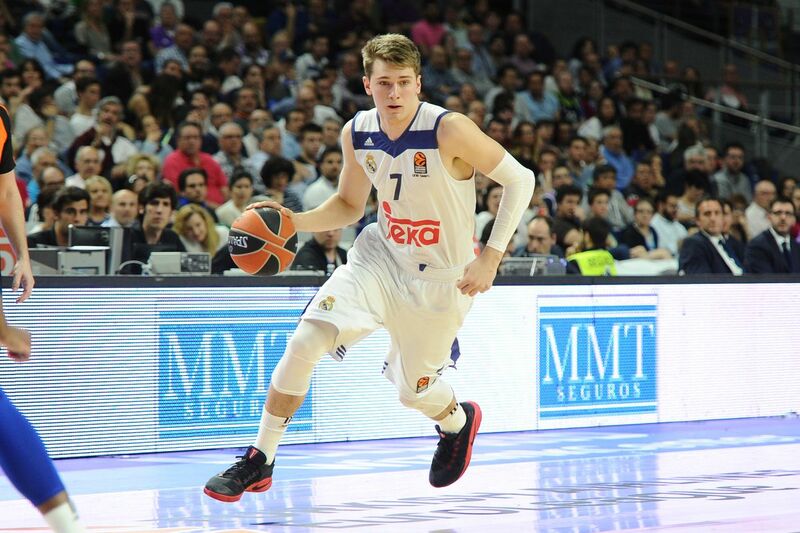 Luka Doncic, photo courtesy of SBNation. Every year, the National Basketball Association holds a Draft where each team gets a chance to select new players to add to their team. Hundreds of players each year hope to hear their name called on Draft night. The teams with the worst records in the previous season get the higher picks, giving them a fair opportunity to improve for the next season. This year the NBA draft will take place on Thursday, June 21, at the Barclay Center in New York City. The top names in this year’s draft are DeAndre Ayton from Arizona, Trae Young from Oklahoma, and Michael Porter Jr. from Missouri. Right now, they all have the spotlight, their hard work has paid off and they’re only weeks away from the beginning of their new lives. The NBA Draft only consists of 60 players getting drafted, which means hundreds of ambitious college basketball players go undrafted. Of course NBA teams are looking to draft players that are ready. Majority of these guys are around 20 years old, so there is no telling of how well they’ll fit in to the NBA. Michael Porter Jr, Luka Doncic and Marvin Bagley all seem to have very high ceilings. Between these three, Doncic should be drafted first, followed by Bagley and then Porter. With respect to Bagley and Porter, Doncic is sure to be an immediate contributor upon entering the league. His abilities to run a modern offense and create his own shot are much wanted traits, whereas the offensive games of both Bagley and Porter are more questionable in how well they will transition over to the NBA. Bagley is a solid player, there is no question on whether or not his game is ready for the NBA. However the lack of a reliable jump shots, along with bad defensive traits could make his draft stock drop. Porter was a dominant scorer coming out of high school. His injury during his freshman year at Missouri has led many to question whether or not he can perform in the NBA. Despite these initial predictions on draft order, Porter has the highest ceiling and is best able to reach that ceiling. His size, versatility and scoring ability lead me to believe he is the most capable to become the best player in this draft class. Doncic might be ready for the NBA but his ceiling isn’t too high and there’s no telling whether he chooses to go back to play in Europe. Bagley has a high ceiling but there are still questions on his all around offense and lack of defensive ability. These three players are great, but my favorite player going into this draft is a 20-year-old named Mohamed Bamba. He is also known as Mo Bamba, and is projected to be a top ten pick in this year’s draft. The first thing that pops out when looking at Bamba is his 7-feet-10 wingspan. Bamba is already seven feet tall with shoes, and secondly he is a freak athlete, combine that with his wingspan and he is very capable of being an elite defender at the next level. That being said, five years from now I think he’ll be the best center to come out of this year’s draft.